October 15 saw the celebration of the holy day of Eid across the Muslim world. 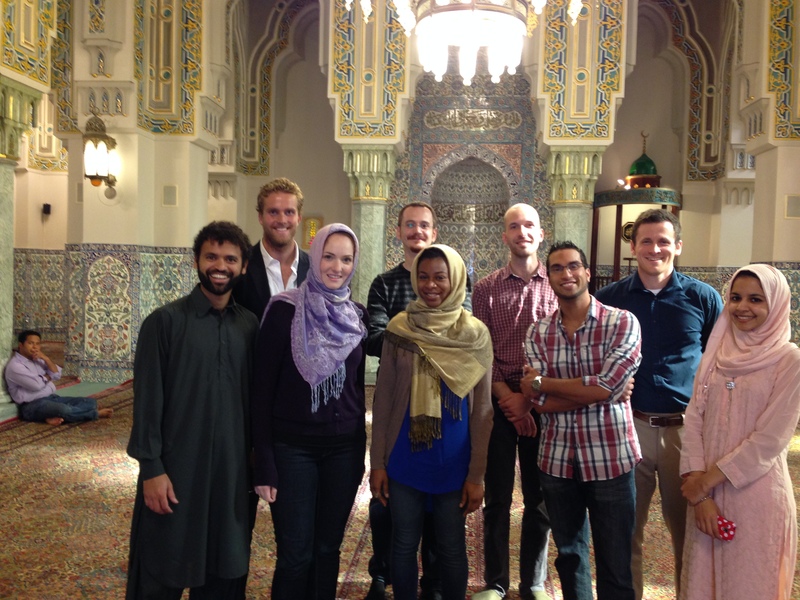 The tradition was upheld here at SAIS Washington when a group of ten students (not all Muslim), draped in color and a festive disposition, attended the special morning prayers at The Islamic Center mosque. I represented my country’s colors dressed in a traditional Pakistani shalwar kameez. Any peculiarity I initially felt in walking down Massachusetts Avenue in a distinct outfit was quelled upon seeing the exotic dresses at the mosque. There were brightly-colored outfits representing traditions spanning from the Caribbean to South East Asia. The mosque was already packed when we arrived, so we squatted on the neatly placed mats in the front yard, where we listened to the sermon. When the prayers finally started, it felt as if the world around us stopped moving. The only sound audible was the voice of the imam on the microphone. However, once the prayers ended, mayhem returned to the scene. Strangers locked each other in brotherly embraces, as the words Eid Mubarak (“have a blessed festival”) made up the background score. After the crowd whittled away, we ventured into the mosque to explore. The walls were well-adorned with carefully crafted tiles, some of which displayed Arabic calligraphy. The dome was decorated in gold and precious stones. As we looked around, we were approached by a stout figure that asked us in a commanding voice to step aside so he could speak with us. Alarmed by the tone of his voice, we wondered if he would request us to leave. Au contraire. He told us that he was the caretaker, and took us through the history of the place. Located in the Embassy Row, The Islamic Centre Mosque has been serving as a place of worship and community development for decades. Since its inception in 1957, the various parts of the mosque have been donated by the governments of different countries. The delicate tiles were provided by Turkey, the chandelier by Egypt, the lavish rugs came from Iran and the elegant dome was contributed by Malaysia. “Everyone built this mosque,” said the caretaker. Shortly thereafter we returned to our daily stresses of mid-terms. Even though the remainder of the day panned out like any other weekday, the pleasant encounters and rich exchanges from earlier in the day, all in the company of a SAIS family, made it a memorable Eid.